What is a medical co-payment and why do I only hear about it now? Have You Heard of Medical Co-Payment Before? The cost of taking care of your health can reach crazy heights, and we haven’t even mentioned medical co-payments yet. So what is a medical co-payment? Paying medical expenses from your savings will put a definite strain on your finances. However, there are gap insurance policies that you can take out for these types of situations. You may think that you do not need it, due to being a very healthy person, but it is an asset. What is a medical co-payment and How does it Work? To begin, investing in a policy may seem unimportant at the moment, but it is to prepare for any future events that might occur. Most people have medical cover, which provides for various medical events that may arise. As with any policy there is fine print that states the terms and conditions. Some of these are clear, but if you do not read it thoroughly, you might be surprised when you need to make a claim. There is an established list of prices for guidance adhered to by the nation’s medical institutions. However, it is not a list that must be implemented by every medical practitioner. And this is what causes a lot of confusion among medical cover clients when processing a claim. Only when you have to visit a doctor or hospital, do you truly realise what your medical aid is prepared to pay. 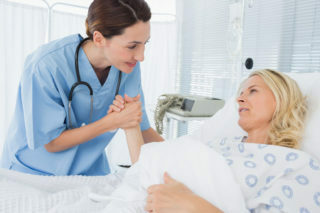 It is then you will discover that what was stated as a 100% cover does not mean the entire medical invoice will be paid. That is why it’s critical you are fully aware of the policy’s benefits and exclusions. One of the surprises will be that, even after making your regular monthly payments, you will still need to pay additional costs. These are known as co-payments, imposed by the medical cover insurer. This is an initial payment that has to be made, by you, to the doctor or hospital. The medical insurer will only take care of their share of the costs after you have paid this additional fee. There are the medical plans that include the benefit of paying for these additional costs. You need to research your various options and choose one that suits your household’s lifestyle best. In just having a medical plan you can see now that it is not enough. To take care of all of your medical expenses you must invest in an additional cover. This is known as gap cover which pays the financial excess left after your medical aid paid their share. There are the gap insurance policies that will assist you with these additional co-payments also. Be informed about their fine print as well, before selecting the gap cover company one you invest with. Doing research on each policy will help clarify which one offers and guarantees you the best coverage possible.